Alternatively, click on the menu icon to the left of the logo and choose close project from the dropdown. This will return you to the Projects Page. 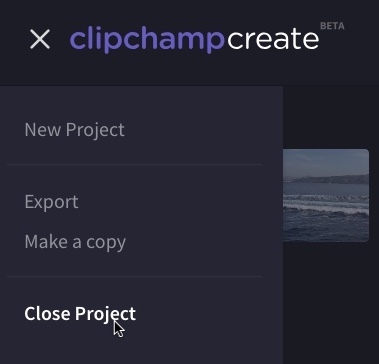 You can reopen your project by clicking on its title or image on this screen. It should appear under the Projects heading. Your project is automatically saved while you work so there is no need to save your project before exiting. 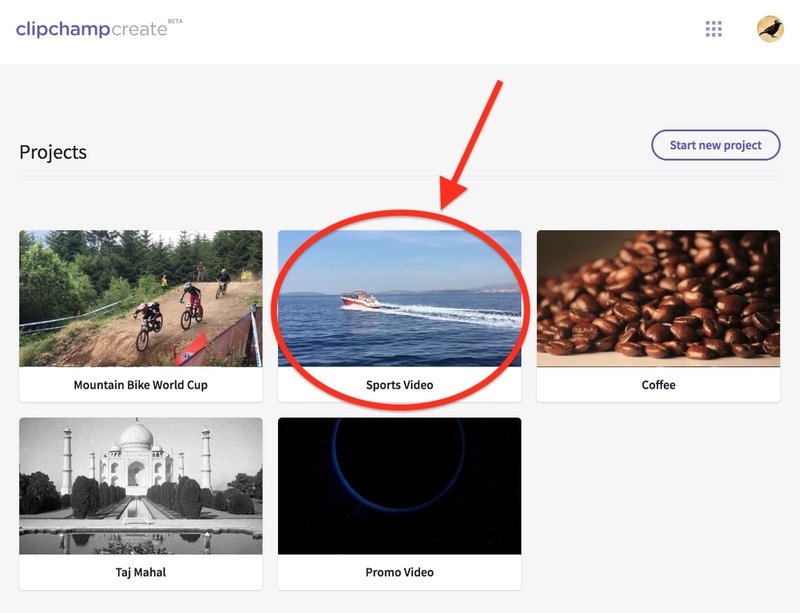 If you sign out of Create or close this page, you will still be able to access your project again when you return to Create and login. 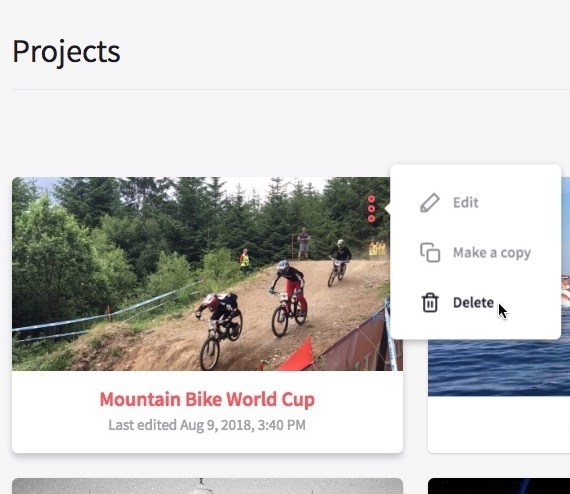 However, it is important you keep the original video, image and audio source files (the files you added to your project) on your computer and don't delete them, because you may be asked to you may be asked to relink these files in future. We also recommend you check your cookie settings (see step 3 in this article) to avoid having to relink files every time you reopen the browser. If you would like to delete your project altogether, close the project so you are on the Projects Page (as described above). Then hover over the project and click the three dots that appear in the top right corner. Click the trash icon that appears to permanently delete your project. 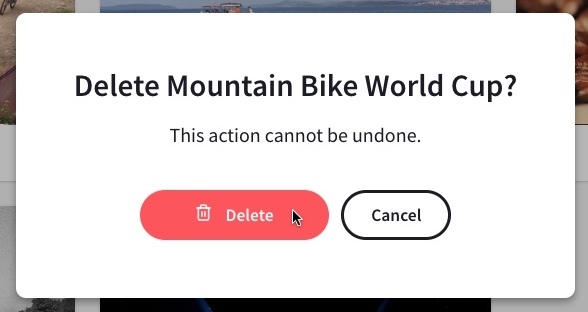 Click Delete in the next window to confirm the deletion.